Being unable to detect your video camera, or being unable to use it properly, resulting in pixelation. Being unable to detect your microphone/speakers, or being unable to use them properly, resulting in poor sound quality. Being unable to connect properly to your wireless router in order to have a SecureVideo session at all. 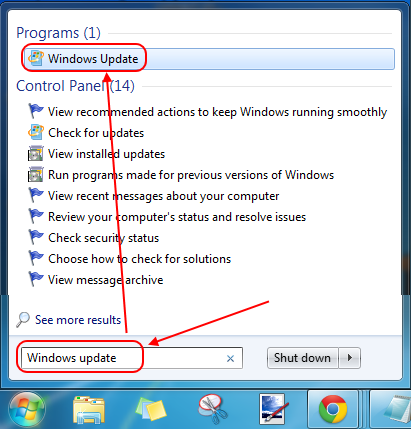 This is more likely if you are making large updates (e.g., from Windows 8 to 8.1), but if you have turned automatic updates on for your computer, a small update may throw things out of sync as well. If you've successfully connected to a SecureVideo session before on your Windows computer, but suddenly can't, you may have some outdated drivers for hardware required to connect to a video session. 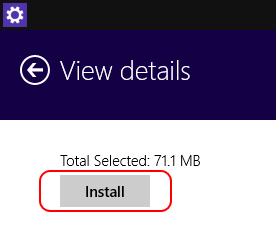 Microsoft has a FixIt solution for download on its website. Once installed, it can run a diagnosis for you and let you know which drivers you will need to update, enable, or reinstall. 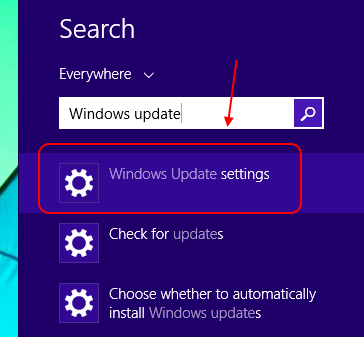 You can also check if there are updates waiting on your computer that may resolve your issue. 1. 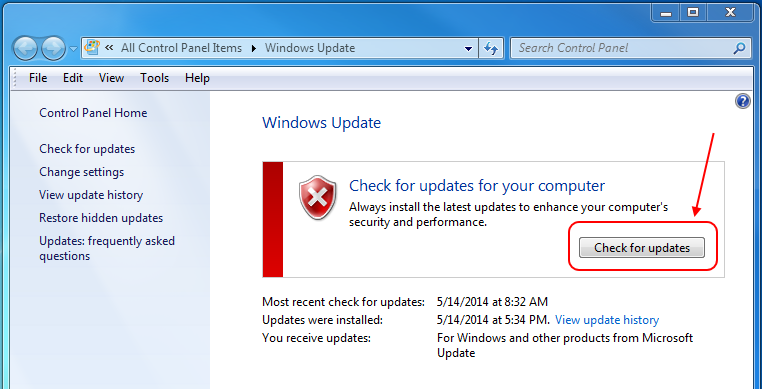 Click on the Windows icon in the lower left-hand corner of your screen, and search for Windows update. 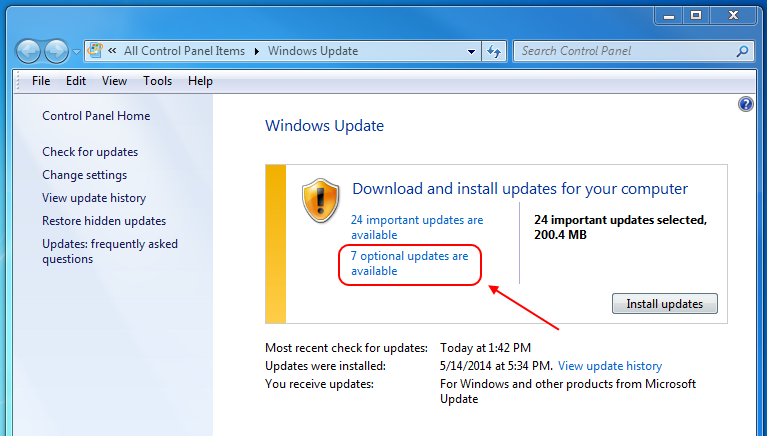 In the search results, click on Windows Update. 3. Click on the link for optional updates to see the list of available updates. 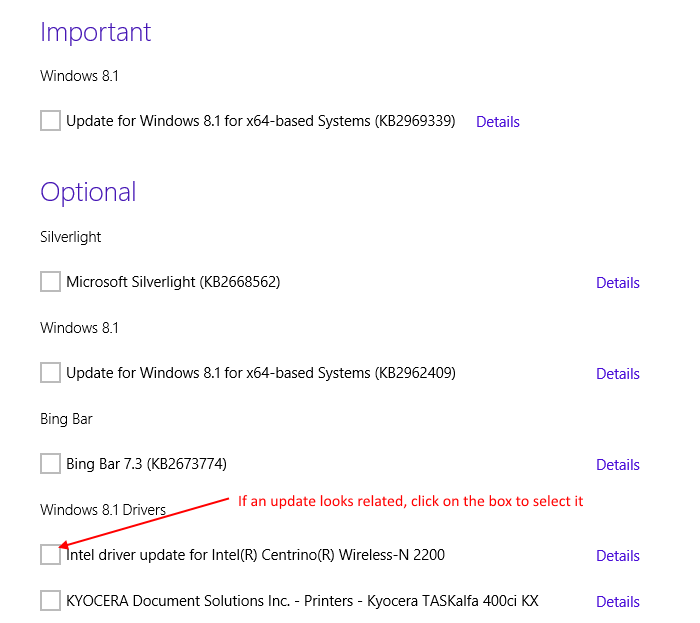 If you do not see any potentially related updates, you can also check the Important section by clicking on Important in the column on the left-hand side. 5. 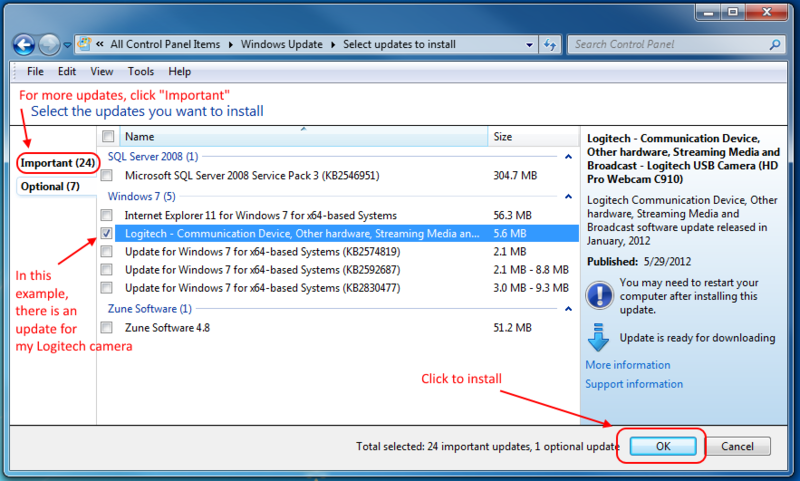 Click Install updates to confirm. 6. Restart your computer, and test again. 4. Click on Check Now, and then View Details. 6. Once you have selected the most likely suspects, click on the Install button in the upper left-hand corner. 7. Restart your computer, and test again. This article was last reviewed by our Support team on November 3, 2014.